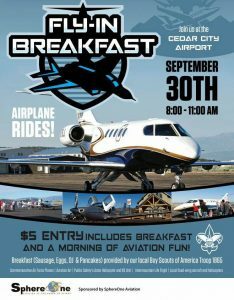 There will be a fly-in breakfast and airplane rides at the Cedar City Airport on Saturday, September 30, 2017 from 8:00 am to 11:00 am. 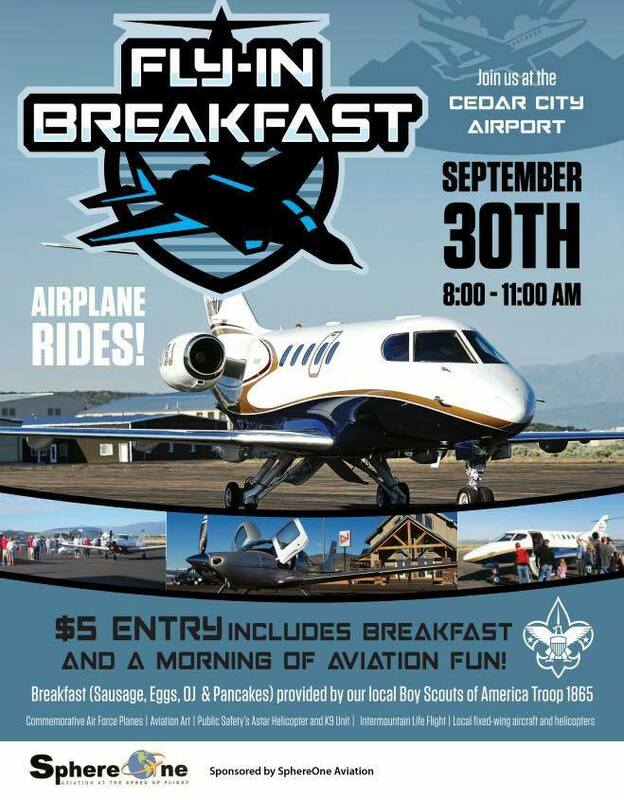 $5 entry includes breakfast and a morning of aviation fun! Breakfast (sausage, eggs, OJ and pancakes) provided by Boy Scouts of America troop 1865. Commemorative Air Force Planes, Aviation Art, Public Safety’s Astar Helicopter and K9 Unit, Intermountain Life Flight, Local fixed-wing aircraft and helicopters.